A&A Concrete Sawing and Drilling Inc, is a family owned and operated WBE Certified Company. With over 35 years in the industry, our company has built a strong reputation as being the leader in concrete services. We pride ourselves on providing exceptional customer service with integrity, honesty and the highest standards of work. Contact our professional team at 502.995.7500 or via our online contact form to get a free estimate for your project. 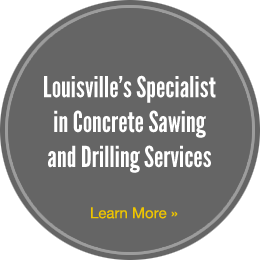 Contact us at 502.995.7500 or via the online form to get a quote for your concrete project.